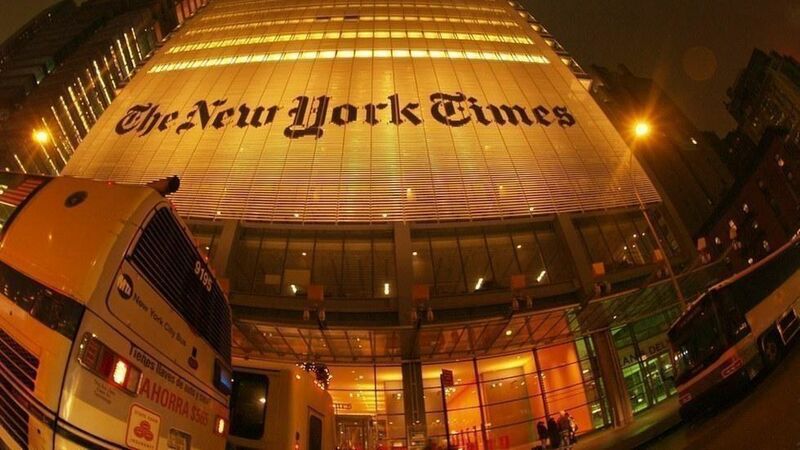 The New York Times posted an editorial Wednesday night that invoked a debunked 2011 theory that a map circulated by Sarah Palin inspired a shooter to fire gunshots outside of an Arizona grocery store, striking and critically injuring then Congresswomen Gabby Giffords. The editorial followed the shooting attack at a Congressional baseball practice Wednesday that was carried out by 66-year-old James Hodgkinson, who upon further investigation was found to have deep anti-Republican sentiments and had volunteered for Bernie Sanders campaign. The piece drew comments condemning the reporting from journalists whose audiences represent many different political perspectives, like MSNBC, Mother Jones, The New York Post and National Review Online. Why it matters: The partisan pull that The Times' editorial says has gripped the country will only get worse with this piece, as it gives conservatives fuel to bash the "mainstream," "liberal," and "elite" media for arguably overstating a key element of their argument. CNN host Jake Tapper: "even way back in Jan 2011 we knew that Loughlin's obsession began 3 years before the Palin map. WSJ editorial Editor James Taranto: "Unbelievable. The Times is still peddling this despicable lie"
New York Post commentary Editor John Podhoretz: "The NYT editorial falsely claims Loughner shot Giffords due to a target on a photo. It's not yet 11. They can change it. Let's see." MSNBC host Chris Hayes: "Let me chime here to say: yeah, that's nuts." Mother Jones senior editor Ben Dreyfuss:"This NYT editorial is, in fact, stupid. Palin didn't make that loon shoot Gabby Giffords. "Rhetoric" didn't make today's whacko shoot either"
National Review Online Editor Charles Cooke: "This editorial is an unconscionable disgrace and the Times should be ashamed. Its editorial board is a joke." "Was this attack evidence of how vicious American politics has become? Probably. In 2011, when Jared Lee Loughner opened fire in a supermarket parking lot, grievously wounding Representative Gabby Giffords and killing six people, including a 9-year-old girl, the link to political incitement was clear. Before the shooting, Sarah Palin's political action committee circulated a map of targeted electoral districts that put Ms. Giffords and 19 other Democrats under stylized cross hairs. Conservatives and right-wing media were quick on Wednesday to demand forceful condemnation of hate speech and crimes by anti-Trump liberals. They're right. Though there's no sign of incitement as direct as in the Giffords attack, liberals should of course hold themselves to the same standard of decency that they ask of the right." Washington Examiner article: "NYT still peddling trash about Palin and the Gabrielle Giffords shooting"
Townhall editor Guy Benson tweets: "Spent all day trying to be fair to the Left, then their 'paper of record' pumps out this libelous bilge. They make it really hard. Seething." Michelle Malkin tweets: "NYT blames Palin's 2010 map for Loughner's fixation w/Giffords that began in *2007. * Read your own paper, liars==>"
Mary Katharine Ham tweets: "The NYT is disgusting. Apparently it takes more than six years for the esteemed Gray Lady to understand the facts of a breaking news story."